The Falkland Islands, in the South Atlantic off the southern tip of South America, have long been one of the world’s backwaters. Claimed by most of Europe at one point or another, the matter eventually came down to a dispute between the British and Spanish, whose claim was taken up by Argentina when Spain’s South American colonies rebelled. In 1833, the British took possession of the islands, which they continued to hold for the next century and a half. 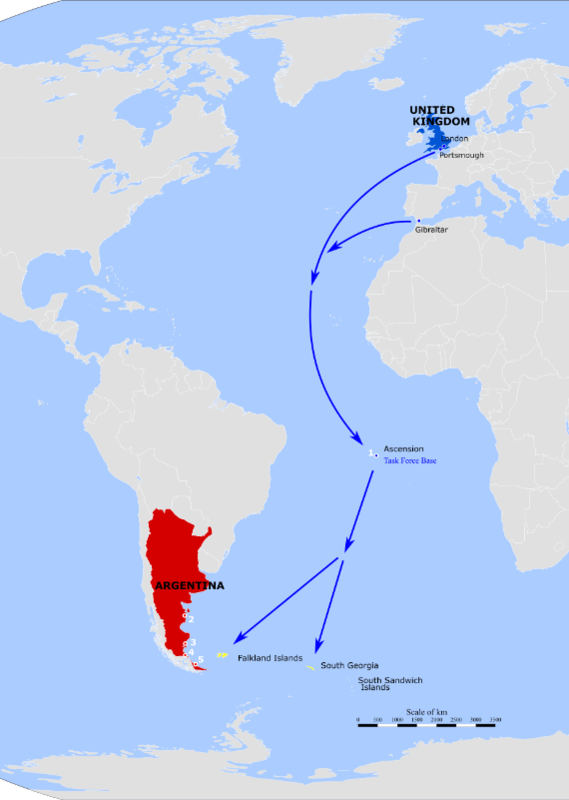 In 1850, Britain and Argentina signed the Arana-Southern Treaty, and Argentina did not mention the question of sovereignty again until 1941. In 1908, the Falkland Islands were administratively joined by South Georgia, an even more desolate place, known only as a major whaling station before that trade was banned. 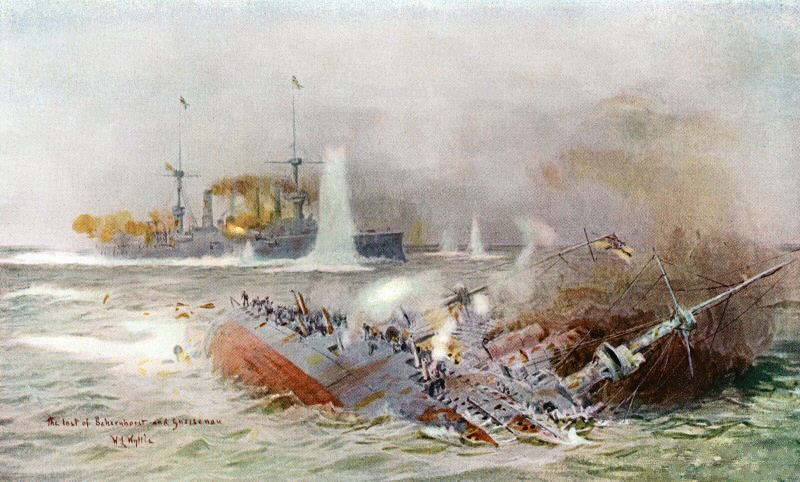 In 1914, the Battle of the Falkland Islands took place, where the British battlecruisers Invincible and Inflexible took out Admiral Graf Spee’s East Asia Squadron.1 25 years later, Graf Spee’s namesake ship was hunted down by a squadron based in the Falklands, eventually being defeated at the Battle of the River Plate. Other than that, things in the Falklands were quiet, and except during the world wars, the British military presence varied only between minimal and nonexistent. During the 1940s, Argentina began to embrace a rather virulent nationalism. This lead them to reopen the Falklands question, which was used by a series of governments to distract from the economic woes that came along with it. Negotiations repeatedly reached a stalemate. Argentina was unwilling to settle for anything less than handing over the islands, while the British were unwilling to transfer them against the wishes of the inhabitants. 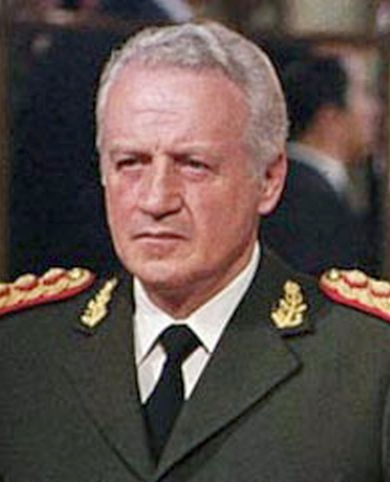 In 1981, Argentina was ruled by a rather nasty military dictatorship facing a particularly bad economic situation. When the British announced that they would withdraw their only naval presence, the patrol ship HMS Endurance, as an economy measure, they decided, as so many repressive regimes have, to launch a “short, victorious war” to secure their power at home. They were no more successful than anyone who knows the history of such attempts would expect. 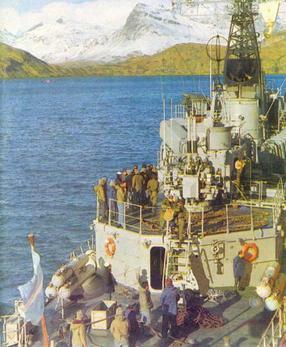 Argentine provocations began on South Georgia in March of 1982. 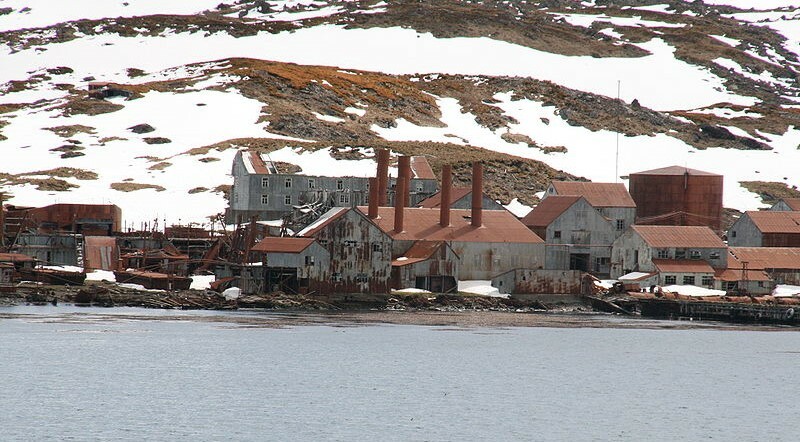 An Argentine scrap metal merchant had secured a contract to remove old equipment from the whaling station at Leith Harbor, and requested the Argentinian Navy (ARA) to provide transport, as was normal in the Southern Ocean. Unfortunately, the ARA’s leadership was the most determined to have a war, and they landed without proper clearance from the British authorities on South Georgia. Besides the scrapping party, Marines were sent ashore, and they raised the Argentine flag. 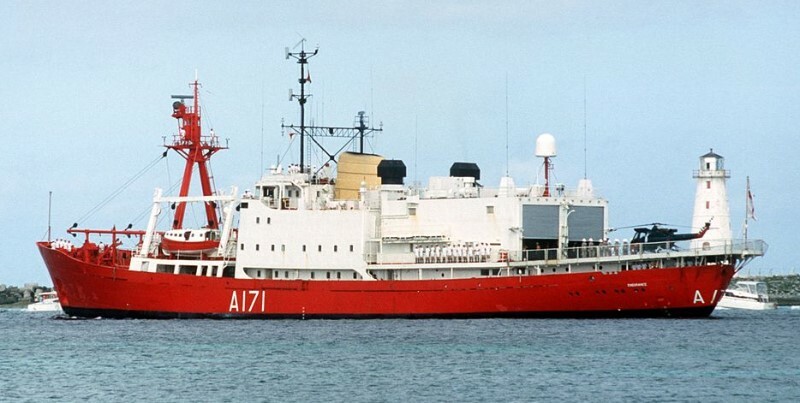 This drew protests from the British, and a group of Royal Marines were sent ashore by Endurance to provide protection for the teams from the British Antarctic Survey stationed there. The British government became increasingly worried in late March, although they expected that any military action against the Falklands would be proceeded by a prolonged buildup of tension that would give sufficient time to transfer forces south. As it was, the decision to invade was made on March 26th, and the British did not learn of it until five days later. As a precaution, some units had already been ordered to the South Atlantic, and the British began a frantic diplomatic campaign to get the invasion called off. Even an attempt through President Reagan was rebuffed by the Argentine Junta, and the British miliary was ordered to a war footing three hours before the first shots were fired. Those shots were fired at 6:05 AM on April 2nd 1982, at an empty building. 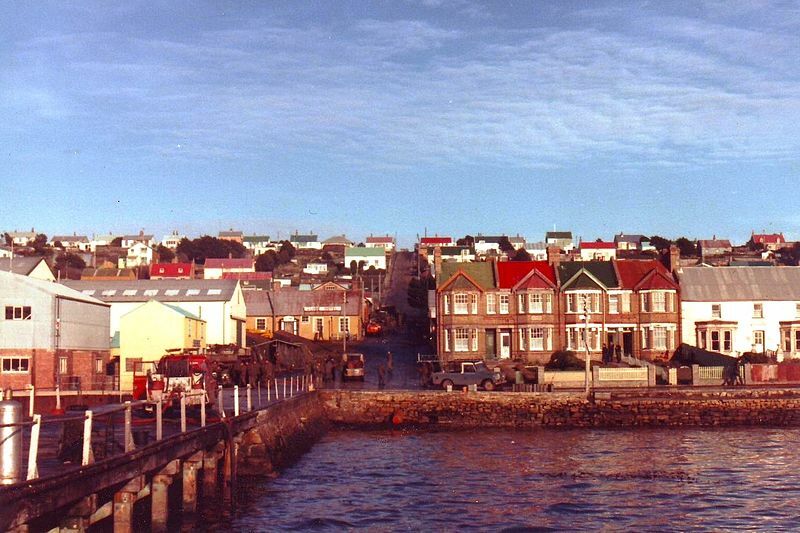 The 85 men2 of the Royal Marines and Navy who normally would have been in the Moody Brook barracks were instead guarding key points around Stanley, the only city in the Falklands. They faced over a thousand Argentine troops, mostly marines, as the Navy was the driving force behind the operation. 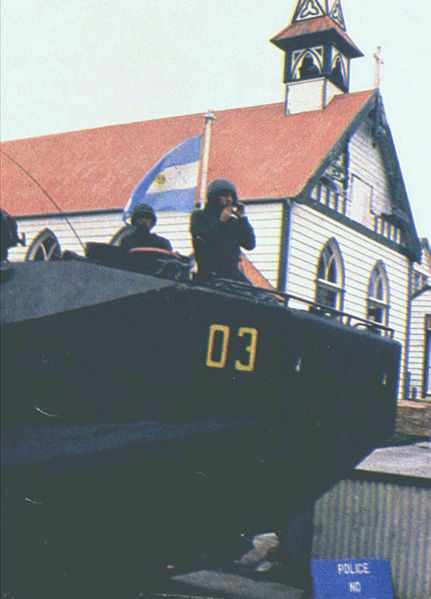 The first real action took place at about ten minutes later, when Argentine special forces attacked Government House. They were beaten off, and their commander was killed. Both sides pulled back and waited as heavier forces began to come ashore. The next encounter was with some of these heavier forces. The Argentines had landed a group of Marines with LVTP-7s at Yorke Bay near the airfield. After securing it, they’d headed for Stanley, where they were ambushed by a group of Marines. They knocked out one of the LVTPs before being forced back. More troops poured ashore, and the British were gradually pinned down. Finally, at 9:15, the governor, Rex Hunt, surrendered the garrison and the islands. None of the defenders or islanders was injured, and the attackers had suffered three dead and seventeen wounded. The 22 Marines on South Georgia learned of the invasion from the broadcast of Government House, which continued until the surrender, and set about fortifying Grytiviken, the only active settlement on the island. They faced the corvette Guerrico, the transport Bahía Paraíso, with one Puma and one Alouette helicopter, and about 80 Argentine marines. Their initial plan had been to land on the 2nd, but bad weather forced a postponement to the 3rd. The assault began with the Puma disgorging a score of men on the north side of King Edward Cove, near the British position. A firefight broke out, and when the Puma attempted to land the second wave, it was badly hit by rifle and machine-gun fire and crashed on the southern shore. The Alouette began evacuating the wounded and shuttling the remaining 40 troops ashore two at a time, but the majority of the Argentine force was on the wrong side of the cove, and unable to contribute to the battle. In an attempt to hasten things along, Guerrico entered the cove to provide fire support. For some reason, instead of standing off and using her 100mm gun, she came in close and attempted to use her 40mm gun. The Marines opened fire with rifles, machine guns and anti-tank weapons. Guerrico took over a thousand rifle-caliber hits, as well as a Carl Gustav and three 66mm anti-tank rockets, knocking out most of her weapons. Guerrico withdrew and eventually her crew got the 100mm back into limited operation. Finally, after several hours, the British surrendered. They'd had one man wounded, while their attackers had lost three dead and nine injured. 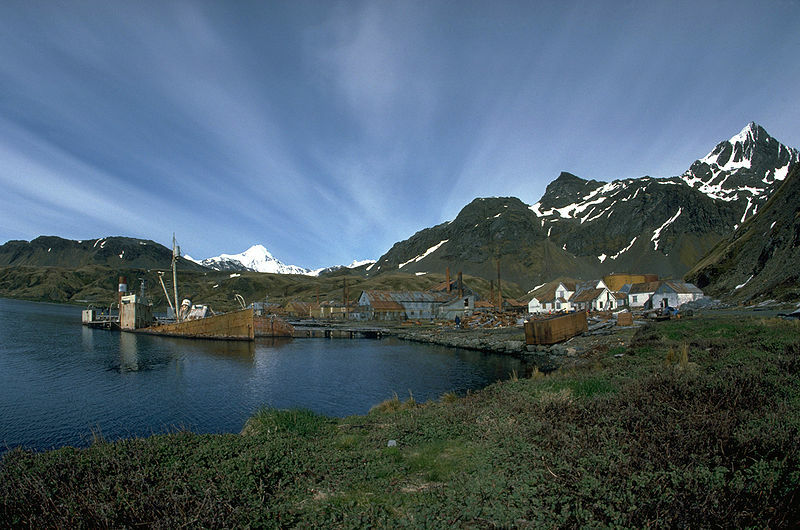 The Marines, and the Antarctic Survey personnel in Grytiviken, were taken prisoner and sent back to the UK a few days later, along with the Marines captured in the Falklands.3 Some BAS personnel in the outer regions of the island remained in place until after the war. Does it really make sense to call the man "Admiral Graf Spee" when writing in English? Graf is a title of nobility, and a title in German at that. Perhaps "Admiral Spee" would make more sense. What's the convention in cases like this? That said, I don't plan to change it. I'm trying to identify Spee with his eponymous ship, and she's pretty much universally known as the Graf Spee. To fix it might well cause confusion among those who don't know that Graf is a noble title. Do you also plan to make a post on Battle of the River Plate? Hadn't thought of before now, but it will probably happen at some point. It's not particularly high on the list for two reasons. First, I tend to focus on big-gun battles, and Graf Spee was an overarmed heavy cruiser, while the other ships involved were regular cruisers. Second, I think its ratio of notoriety to technical or historical interest is pretty high compared to a lot of other battles. Naming conventions are always tricky. There have been times and places where someone with a military rank and an aristocratic rank would be referred to in a way that uses both (I've certainly seen the British hero called "Admiral Lord Nelson"), and given how the ship was named (and the way Germans are with titles in general) I'm assuming the Spee case involved that, though like everyone else so far I don't know enough about specific German practices of the time to be certain. FWIW, the German launch pictures show it having the full title. There should be underscores between admiral, graf, and spee in the above URL, but I guess the comment board uses those as a markup for italics. I've edited the comment to put in an actual link instead. You can use Markdown in comments!